Thanks to you, we had another terrific National Travel & Tourism Week. We really appreciate everyone helping us spread the word about the positive impact tourism has on your communities and throughout the state. 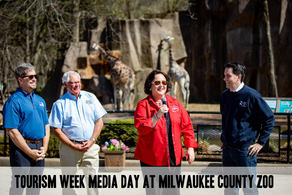 To kick off the week, the Governor and I had a great day of media stops around the state that included the Leigh Yawkey Woodson Art Museum in Wausau, Titletown District in Green Bay, the Milwaukee County Zoo, and the Governor’s Fishing Opener in Chetek. We were so thrilled to find out that our out-of-home advertising at Chicago’s Union Station received two Silver Obie Awards. To be in the company of Warner Brothers, NBC and Samsung in our respective category is a dream come true. In addition, we received seven Paragon Awards, including a Best in Show, from the PRSA-Southeast Wisconsin chapter for a variety of public relations initiatives. Never underestimate the power of creativity and a team that believes anything is possible. Bucky on Parade officially launched in Madison and Travel Wisconsin was proud to be a part of it. There are 85 life-sized Bucky statues located around the city including our very own Travel Wisconsin Gemütlichkeit Bucky in front of the Capitol. To kick things off right, we had the fantastic Alte Kameraden Band playing along with a few confetti cannons to add to the fun. 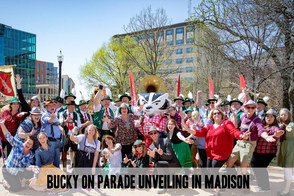 Don’t miss Bucky on Parade, one of the largest public art displays in the country, which runs through September 12. Congratulations to our Executive Producer, Jonathan Eckelberg, who was selected as one of Destinations Internationals’ 30 Under 30 honorees for 2018. 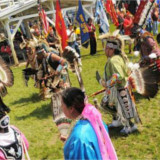 Congratulations to Ho-Chunk Nation on the Grand Reopening of Ho-Chunk Gaming Wisconsin Dells. The newly renovated space will showcase new dining options, bingo hall, smoke-free and VIP gaming areas, gift shop, hotel lobby, main entrance, as well as new furniture and décor. OutWiGo is a statewide initiative encouraging everyone to improve their overall health and wellness by getting out and active in the outdoors. 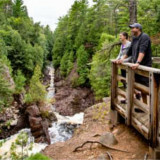 From waterfall hikes to trails for bikes, the program encourages residents and visitors to explore one of Wisconsin's state park properties. Learn more at Wisconsin DNR. Last fall, Travel Wisconsin and Wisconsin State Parks teamed up to install Selfie Stands in 10 state parks. Due to their overwhelming popularity, 40 more Selfie Stands will be installed in state parks throughout the summer. Visit TravelWisconsin.com to see where to find our current and future Travel Wisconsin Selfie Stands! Our summer marketing campaign puts the spotlight on Gemütlichkeit, a German word that’s tricky to say, but easy to feel. It’s about the friendship, warmth and good cheer you feel when visiting Wisconsin. 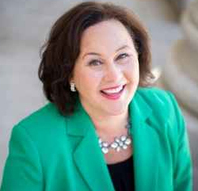 The campaign includes a TV commercial, radio spots, print ads, digital and social media, and public relations outreach. 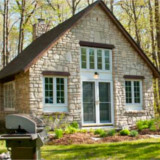 Links to the TV spots can be found on the Travel Wisconsin YouTube page and a complete overview of the summer campaign can be found here. WHAT'S YOUR FAVORITE OCEAN-LIKE BEACH IN WISCONSIN? Last month we asked which water-themed activity you enjoy most each spring. Waterfall viewing took the top spot at 58 percent, followed by fishing and canoeing.